A recent flood of impressive, handsomely produced, mostly cinéma vérité Chinese documentaries hint at the versatility and maturity of documentary production inside China, as well as to the strength of international infrastructure to help them find viewers. In the US and Europe, there have been occasional glimpses of this creative flourishing over the last decade. Wang Bing's West of the Tracks (2003), a three-part, nine-hour, cinéma vérité look at life in a Chinese rust bowl city, showed at Western festivals and on European and US television. Chen Weijun's Please Vote for Me, about a Chinese grammar school election, aired on ITVS' Independent Lens and on European and Southern African public TV systems, after his 2003 To Live Is Better than To Die (2003) won Peabody and Grierson Awards. In 2009, Fan Lixin, a Chinese-Canadian filmmaker, won an Emmy for Last Train Home, about a journey made by one among many millions of migrant families displaced to work in China's rising industries. The film was shown on several public broadcasting systems in Europe and the US, including POV. In addition to winning the prestigious Golden Horse Award for best documentary in Taiwan, Hao Zhou's 2014 film The Chinese Mayor made a splash at the major European documentary festival IDFA, won a documentary award at Sundance Film Festival, and aired on BBC. This understatedly elegant cinéma vérité work tracks the mayor of a historic Chinese town for years, as he tries to execute an ambitious plan to reconstruct (and sometimes re-invent) ancient town fortifications and encourage tourism. The film is rich in insights about Chinese bureaucracy, politics and daily Chinese life. It shocked many with its access and its complex character portrayals. These occasional glimpses have barely hinted at a rising movement of fiercely independent Chinese documentary work, often marked from the 1990 release of Wu Wenguang's Bumming in Beijing. Some common characteristics in early years of the New Chinese Documentary were an observational style, an insistence on chronicling the post-Tiananmen lives of the young, relatively upscale and alienated, and a showcasing of all things unofficial in daily life. In recent years, the movement has taken a turn toward the participatory, with filmmakers working with subjects, telling their stories not only for audiences but for and with marginalized communities themselves, sometimes explicitly as part of organizing or advocacy. This work has not typically been shown much outside the censored Chinese official media, either commercial or state-sponsored. Several indie documentary festivals have become important internal venues within China. The Chinese state has been suspicious of these new voices; festivals have been surveilled (and in one case, electricity was suddenly pulled), filmmakers insisting on probing into sensitive topics have had equipment broken and have been detained. Some New Chinese Documentarians, vigorously opening up independent spaces at home, have been leery of international partnerships that could skew their work. The New Chinese Documentary has often been featured in Asian film festivals—including in Japan, Hong Kong, Taiwan and Singapore—and has been part of a vibrant international exchange regionally. But in the West, the work has most often been seen in museums and universities, where extensive context can be provided. Now, some of the leaders in the New Chinese Documentary movement, as well as their contemporaries working in television, are developing work for international audiences—and hoping in some cases to reach official Chinese television. This comes at a time of rapid change in Chinese television itself, the filmmakers say. Commercial channels are proliferating, and state TV has a documentary channel. CCTV9 carried Last Train Home, for instance, and a censored version of Road to Fame, an earlier film by Wu Hao, aired on Chinese TV. Hundreds of small aspirational production companies are starting up. Can good-faith storytelling of complex Chinese realities survive cultural translation and also the delicate work of negotiating with—or more commonly and significantly, second-guessing—official censors? Can filmmakers who succeed in that struggle stay friends with filmmakers who ground their work in grassroots collaboration? "It's such an exciting moment," says Wu Hao, whose work has shown on Western public broadcasting systems, including PBS. As someone who has worked both in Silicon Valley and at the Chinese digital platform Ali Baba, he is experienced at crossing borders. "You have younger filmmakers coming in, picking up these cheap cameras and telling new stories. Their perspective on China is shifting. It's more diverse, not just the more stereotypical stories of migrants and dissidents." But the lack of a developed domestic market for independent films, he notes, limits career prospects and civil discourse. "Think about what it would mean in China to have [these films] shown [officially]: It would be so helpful, people could talk about corruption, the cost of growth." In the meantime, international audiences, especially at film festivals (our early-warning system for new talent), are getting a look at daring, thoughtful and artistically and politically inventive work. Some recent work is explosively controversial and, like much of the domestically oriented New Chinese Documentary, far too confrontational for official media in China. 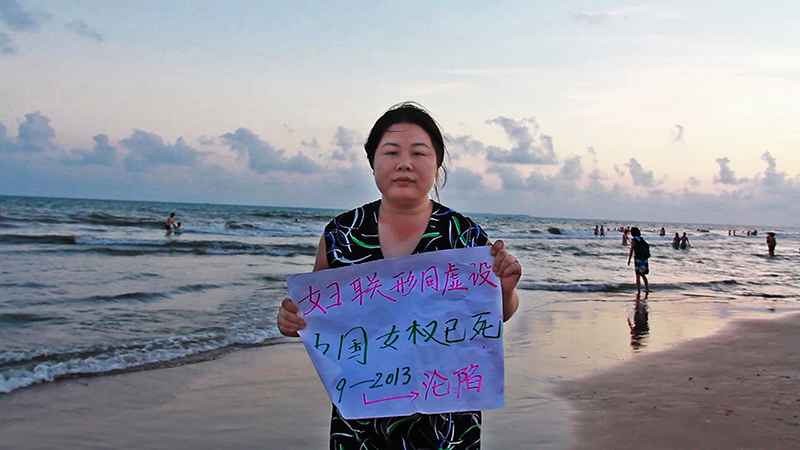 Wang Nanfu's breathless Hooligan Sparrow (2016), produced by China resident Alison Klayman (Ai Weiwei: Never Sorry), uses hidden cameras and guerilla techniques in following a human rights advocate, Ye Haiyan, and her colleagues as they go on the run after confronting officials about widespread trafficking of women and sexual abuse within China. Wang herself was surveilled and her equipment was wrecked in the making of the film. It debuted at Sundance 2016 and opened the London Human Rights Watch Film Festival; now the question is whether Wang can go home again. Zhang Zanbo's fierce and confrontational The Road (2015), which is also not designed for Chinese TV, puts viewers on notice from the start that hard truths will be told, when an aged, infirm and extremely irritated woman yells at construction workers building a giant road project through Hunan province. The crew's explosions have rained rocks on her house. Her hapless son ineffectively tries to confront the workers. The workers laugh and sneer at both of them. Then the film really gets serious. In four chapters, Zhang chronicles the road construction, from rock-clearing to ribbon-cutting. None of the parties in charge—the company, the local officials, the Communist Party—comes out looking good. The project is hazardous not only for locals, who are routinely ignored, but also for the workers. When the construction company fails to pay off the local officials to their satisfaction, local officials send thugs to beat up workers. Despite constant assurances from the beleaguered project manager, the wounded workers find medical treatment and compensation so difficult that one lies down behind the back tire of a work truck—with his stone-faced wife sitting beside him. Workers are routinely unpaid, and other accidents add to the death toll. Then they find that the bridge they have built is unsafe. Access to subjects throughout is remarkable, but nothing compares with scenes from the last chapter. The road has been built, and the celebration is about to start. Lounging in their underwear in the dormitory, workers sardonically mock the patriotic celebrations blasting out of the TV. It is a blistering, blackly comic ending to a jaw-dropping film, which already has excellent international distribution prospects—although the book associated with the film has been removed from bookstores in mainland China. Other films on the international documentary circuit concern social issues without going frontal, and some of these are angled toward either commercial or state Chinese television as well as international audiences. Wu Feiyue and Qin Xiaoyu's Chinese Verses (2015), which won an award at the Shanghai Film Festival, showcases worker-written poetry—itself a post-revolutionary repurposing of a historic elite tradition. The poets, including a miner, factory workers and a woman who finishes garments, write harshly, wistfully, often poignantly about the conditions of China's full-tilt economic development on their lives. Such voices never surface, according to Wu, on TV news, where he worked for years. The film is visually as well as aurally innovative; it uses sometimes startling, sometimes breathtaking collages to illustrate some of the poem. He and Qin, a noted poet, are confident that the film will be shown on Chinese television; his own experience, and careful production choices, he maintains, lead him to believe that it will not have trouble with censors. He even expects his current film about one of the best-known poets, a young man who eventually killed himself at Foxconn (where iPhones are made), to reach Chinese TV. The film has been screening to enthusiastic audiences in theaters in China. 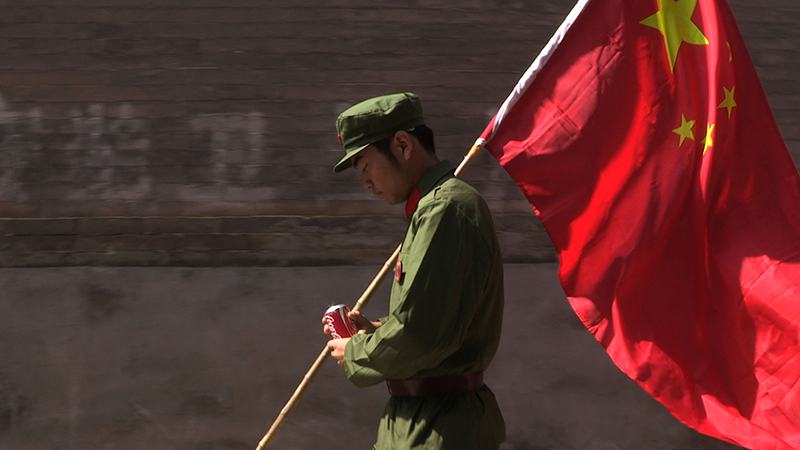 Similarly Du Haibin's A Young Patriot (2015), which already has a US public TV slot, balances social critique, powerful storytelling and a framework that can be seen as nationalist. The film follows a young man from high school through college. When we meet him, he's the ultimate Party cheerleader, happy to jump on any official bandwagon. 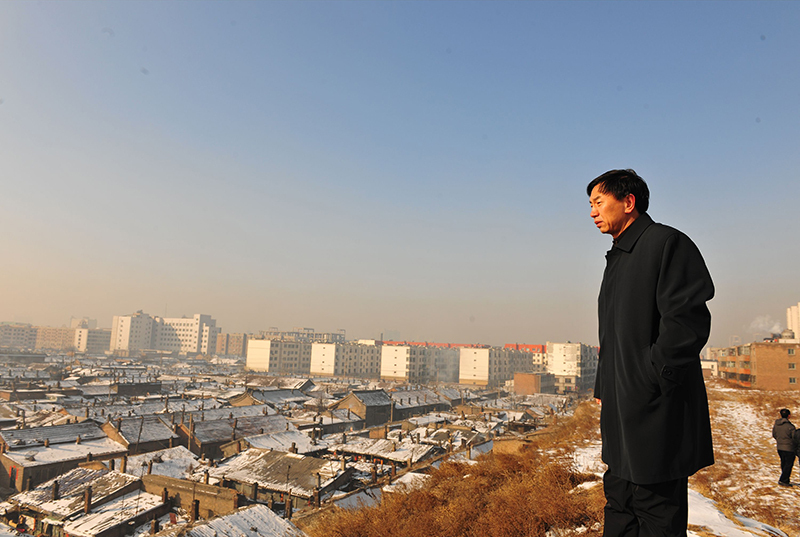 By the end, he has seen sobering realities—doctrinaire professors, communities of old people and children bereft of teachers as a result of the huge internal migrations that fuel industrialization, and seeing his own family home seized for redevelopment. He doesn't lose his patriotism, but he becomes committed to a more participatory version. Other work focuses, carefully, on the personal experience of broad social issues. Ye Yun's Look Love (2015), which grew out of a photographic installation, features the consequences of internal migration on families, following one well-off urban girl and one wretchedly poor rural boy. The girl's mother wants her to appreciate the opportunities the mother bought so dearly with her absence, but the girl appears to find the alienation unforgivable. The boy, left motherless with a dysfunctional father, slips ever further into a feral world. Balancing Act, a work in progress by Fan Jian, profiles a poet whose work has gone viral in China. The poet suffers from cerebral palsy and chafes in an arranged marriage; her poetry expresses both constraint and a vision of freedom. Wu Hao's People's Republic of Desires, also in progress, looks at the loneliness, hunger for recognition and need for connection that fuels the lucrative business of celebrity online sites. "The director and I avoid talking about politics directly," says Zhang Yong, the producer of the work-in-progress Stammering Ballad, which he pitched at IDFA 2015. The film follows a rural singer who aspires to big city success. "But the film reflects social issues. We've worked in TV, and we know how to navigate it. No matter where you are, even in the US, you have to know what you can and can't say." And then there are films that delve into character and crisis on a micro scale, telling stories that easily reach across cultural borders. 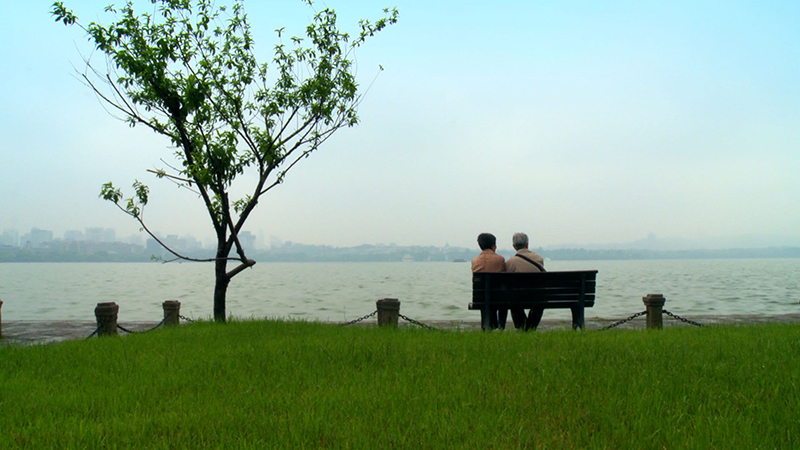 Zhao Qing's Please Remember Me follows the filmmaker's grand-aunt and grand-uncle, who survived personal and political turmoil of China's post-revolutionary society and now search for a dignified way to live with the great-aunt's dementia. Chinese television companies, including state-owned CCTV and Shanghai TV, have already expressed interest in the film. Violet Du Feng, one of the film's producers and a graduate of University of California, Berkeley, is optimistic about the emerging market she encountered on her return to China after a five-year absence. "The market is booming, and there are a lot of outlets," she observes. She sees more Chinese opportunities for "art house films" like Please Remember Me than ever before. Ye Yun expects to conduct an engagement campaign in China around ageing issues. Another personal film, still in production, is Sun Yang's family story Ma Liang's Time Machine. The father, now afflicted with dementia, had been Peking Opera director; the son, an artist, celebrates his filial love in art. The dominance of cinéma vérité in recent work is not necessarily a Western accommodation to Western markets, but rather an indication of global interactions with Chinese practice. New Chinese Documentary has long prized experiential treatment of events, seen from the viewpoints of the participants with the least power. Indeed, some filmmakers have resisted editing for outside consumption, knowing the value in documentation for their grassroots partners. An experiential style in itself signals distance from official Chinese commercial television and promises a kind of transparency that implicitly challenges the official view. Filmmakers typically come with experience within the New Chinese Documentary movement, as well as television and advertising, and some have either film or journalism backgrounds. Most makers of work recently showcased in the West have made earlier successful films, domestically or internationally. They also work with organizations based in Asia, Europe and North America, dedicated to the dual goal of reaching wider audiences within China and beyond. In Asia, where a variety of organizations support documentaries, CNEX, a Hong Kong-based nonprofit, focuses on a strategy to reach wide, cross-border and mainstream audiences. CNEX wants to increase citizen participation with its investment in emotionally rich, socially compelling documentary. It has supported, among others, The Chinese Mayor, Look Love, The Road and A Young Patriot. Chinese Verses, Please Remember Me and The People's Republic of Desires all came through the Sundance-CNEX workshop in Beijing. Liu Cho, a CNEX production team member, explains, "This isn't just about film; we want a documentary to make some social change." CNEX's operations serve filmmakers from idea creation to distribution. Its pitch forum, CCDF, held annually in September for the past six years (strategically, in Taiwan, where the air is freer), is modeled on IDFA's Forum and brings in some of the same broadcasters and funders. About a hundred projects, mostly from mainland China, were pitched last year. CNEX also co-hosts, with Sundance Documentary Film Program, a May forum in Beijing on the craft of storytelling, and has co-hosted a Good Pitch with BritDoc in Taipei. It conducts engagement campaigns with films, including campus tours in China and Hong Kong. The decade-old organization has supported or produced 80 films, a quarter of which are distributed internationally and some of which are award winners. CNEX typically provides start-up or seed money up to $50,000, helps with fundraising, provides creative consultation and skill-building and can provide emergency funding. It also has an on-demand TV channel, and works with other Asian venues, including the Taiwan International Documentary Festival. The CNEX founders' team combines dot-com savvy, business school skills and film expertise. Ben Tsiang, a co-founder of Sina.com (owner of Weibo, China's version of Twitter), decided, after a heart attack at age 35, to put his money and energies into something he could believe in: the hope that documentaries could fuel the public sphere and help Chinese society. Ruby Chen came to CNEX with management skills cultivated over 15 years at the international management consultancy McKinsey & Co. Chen's husband, Hsu Hsiaoming, a noted Taiwanese filmmaker, is one of more than 30 close advisors to whose networks CNEX filmmakers have access. The third partner, Chang Chaowei, is a documentary filmmaker who leads a production team at CNEX and also trains filmmakers. CNEX executives studied Western institutions supporting documentary extensively before launching their own coordinated set of pre-production-to-distribution projects. At IDFA 2015, Cara Mertes, who heads JustFilms at the Ford Foundation, recalls meeting both CNEX founders "on the circuit" in 2006, when she headed the Sundance Documentary Film Program. She, Tsiang and Chen discovered that they shared goals to cultivate a livelier public sphere with documentary. At the time, Mertes was looking for opportunities to nurture independent regional expression more globally—not just in China but in Egypt, Kenya and Indonesia. Her previous position as head of the PBS series POV also gave her entrée with a least one appropriate outlet in the US for such work. The Open Society Foundation joined with CNEX and Sundance to launch a pitch forum by 2008. JustFilms now continues partnerships with CNEX, while Tabitha Jackson, who succeeded Mertes at Sundance, has kept Sundance's commitment going. "It is an inheritance I cherish," she maintains. Great care in negotiating China's media environment has been essential. The early Sundance-CNEX workshops, for instance, were never more than 100 people, at least officially, to ensure that they did not qualify as a public event. According to Mertes, workshop mentors have as a goal to help artists "thread the needle—tell stories about China that can be seen in China." US documentarians such as Arthur Dong, Rob Moss and Stanley Nelson have served as mentors. Jean Tsien, a Chinese-American and veteran editor (of, among others, several of Barbara Kopple's recent films) has become a go-to person for projects headed to a Western showcase. She was an editor on The Road, executive-produced Please Remember Me, and has worked repeatedly with Wu Hao and other New Chinese Documentarians. "It's so exciting to see how rapidly the field is maturing," Tsien exclaims. "I'm so grateful to be part of this new frontier. I feel I'm building bridges between cultures." The collaborative, capacity-building approach was deliberate. "This approach flips the usual top-down development model," Mertes explains. "It's cultivating creative expression at the grassroots, building capacity in region, to push back against the closing down of civil society around the world. People living that reality need to become the storytellers. But it's slow. It takes at least 10 years to build that base. In China, that base now exists." Other partners include European and North American broadcasters. ITVS ran (with foundation support) the multi-year Global Perspectives Project showcasing eight Chinese films, and also supported A Young Patriot. Major international film festivals such as IDFA and Sundance have showcased them. Indeed, IDFA 2015 featured five finished films, and four in the pitch Forum. Its IDFA Bertha Fund has funded them. BritDoc and the South African nonprofit Steps (the TV series Steps for the Future, Why Democracy? and Why Poverty?) have all partnered with CNEX. The goal, Ruby Chen says, is to help artists tell stories that have "honest insight, and a touching human story. Both the art and the goal of transformation [of the public sphere] are important." If it continues to evolve, this confluence of Chinese documentary talent with commitments from organizations that provide way stations toward distribution could enrich civil society conversation both internally and internationally about issues that affect us all. The path will not, however, be easy.